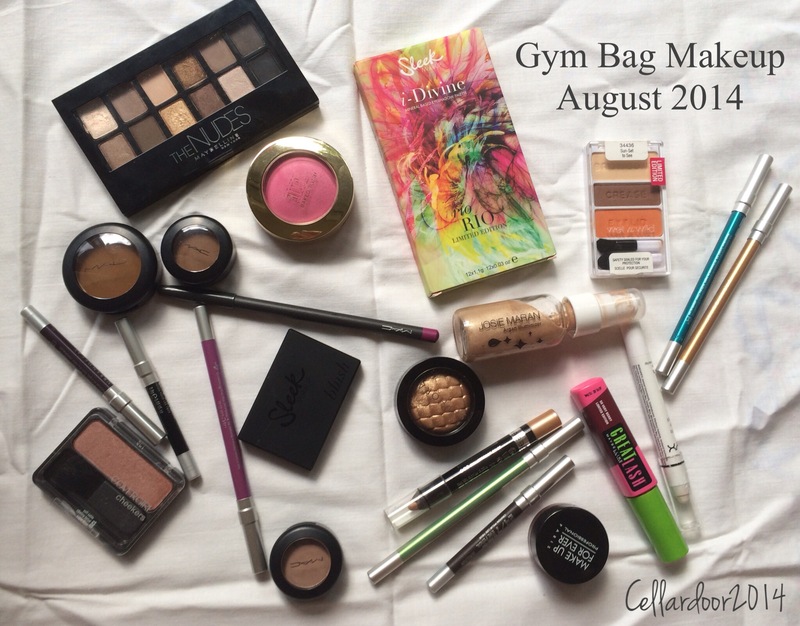 I’ve written about this before on Tumblr but this is my first Gym Bag Makeup post on this blog so I’ll give a probably rambling brief description of what the heck is going on. A long time ago in another life I was a personal trainer. It was awesome. There’s nothing quite like helping someone else achieve something physically that they never thought was possible for them. Sometimes I really miss everything about working in a gym but I have a pretty sweet gig now so I can’t complain too much. However, finding time to take care of yourself and hit the gym daily can be tricky to say the least. I’ve found that for me personally I have to workout first thing in the morning or I lose all motivation for physical exertion by the time I knock off work. As a makeup enthusiast, I’m not willing to exchange my creative makeup time for gym time so I schlepp a bag of makeup around in my gym bag every morning and do my makeup thing in the locker room (hello fluorescent lighting!) While I definitely have a few staples that never really leave my gym bag (you can read my eloquent pondering about them here) I tend to switch a fair number of items out every few weeks or so. It’s actually a neat way to “shop your stash” on a regular basis and I always look forward to having a new selection of cosmetics to work with on a semi regular basis. Anyway, here are the items that I’ve been carrying with me recently. I’ll link to previous reviews of products whenever applicable. Maybelline The Nudes palette – a great neutral palette for the money but the pans are not securely glued into the palette and have a tendency to pop out so it’s not ideal for a gym bag. Sleek Rio Rio palette – this is amazeballs. It’s surprisingly versatile and I’ve loved every look I’ve done with it. MAC Uninterrupted – I can’t get enough of this shade, it’s just that amazing. MAC Cork – a good neutral crease color. MAC Kid – this is a great blending shade for me. 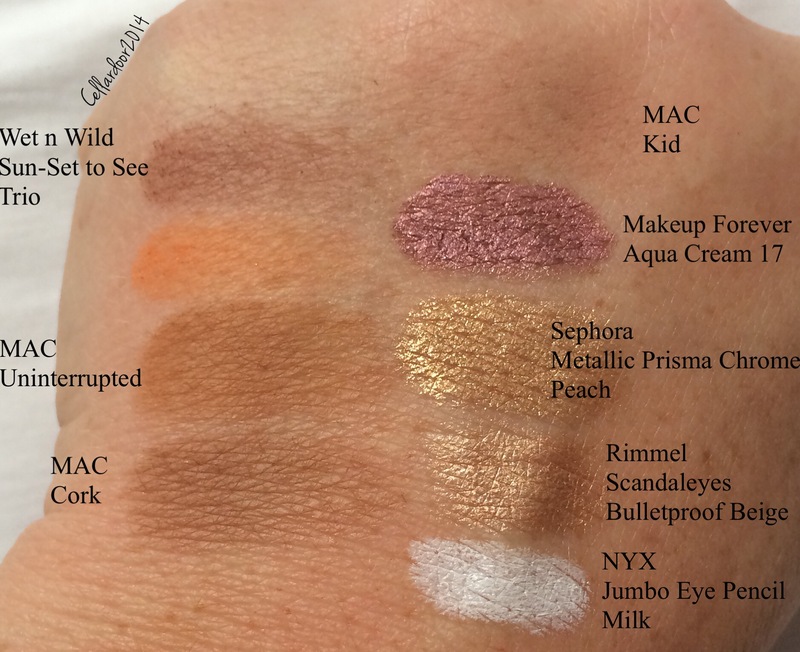 Sephora Outageous Prisma Chrome in Outrageous Metallic Peach (I think they should have added another couple of words in and sent the thing to a publishing house. It could have won a short story award) I just can’t get into this. I’ve had it in my bag for a few months and I just can’t. It’s a glittery shimmery mess. Makeup Forever Aqua Cream 17 – So. Freaking. Good. Wet n Wild trio in Sun-Set to See – I’ve only had this in my bag for about a week but I really like it. The brown is lighter than I expected it to be and can’t really be built up but the orange is really nice and the two shades blend together vey well. NYX Jumbo Pencil in Milk – I threw this in because I thought some of the colors in the Rio Rio palette might need an intensity boost but that wasn’t the case at all and I didn’t use this once in this gym bag rotation. Rimmel Scandaleyes in Bulletproof Beige – this is a fantastic eyeshadow pencil. I use this often with just mascara if I’m in a hurry and it always looks great. Milani Baked Blush in Delizioso Pink – this gives a surprisingly natural and glowey look on the cheeks. It is a matte but it almost has the faintest possible sheen to it. It could just be that the bright color gives the illusion of a glow but either way, it’s delightful. Covergirl Cheekers Blush in Soft Sable – this is a very pretty neutral blush with a nice sheen. The actual sheen is a bit on the cooler end of the spectrum but it’s a pretty blush. 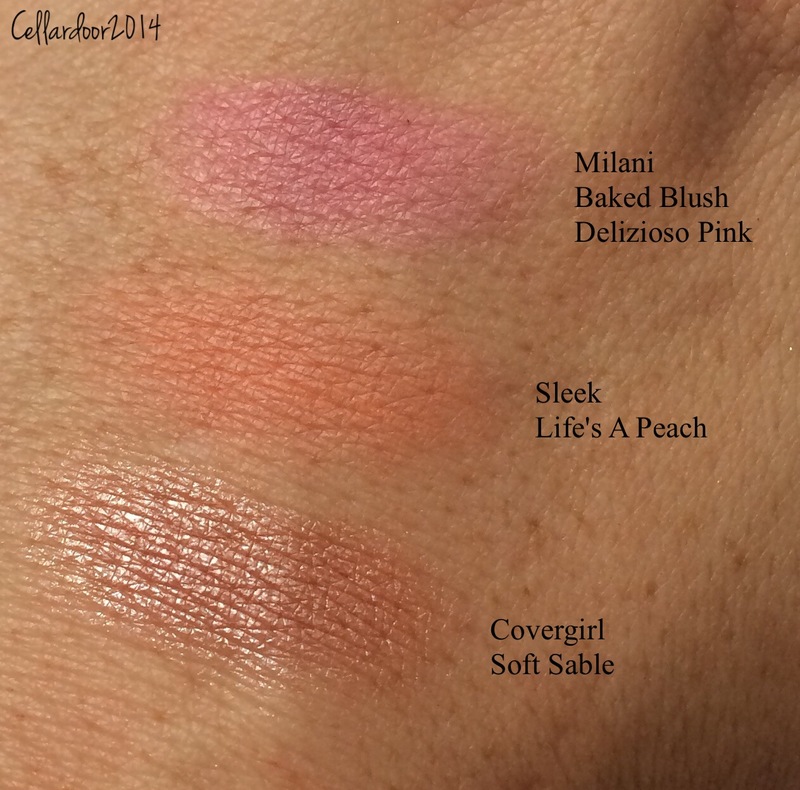 Sleek Blush in Life’s a Peach – I cant stop using this. It’s so incredibly beautiful when applied and swatches don’t even begin to do it justice. I’m keeping this in my bag again for another rotation because it is summer time perfection. I hope you enjoyed this makeup round up! What do you take with you to the gym? Do you ever “shop your stash”?